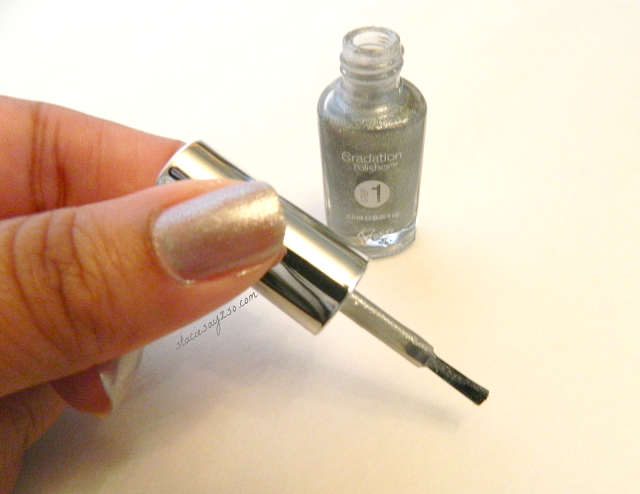 Nail Polish has been a way I choose to pamper myself since I was a teen. Back then, I used to paint my nails every day. So much has changed since then, I don't paint them as much as I used to, but I still like my nails to look cute. I've been wanting to try the Ombre look on my nails for sometime now, but didn't really know how to pull it off on my own. 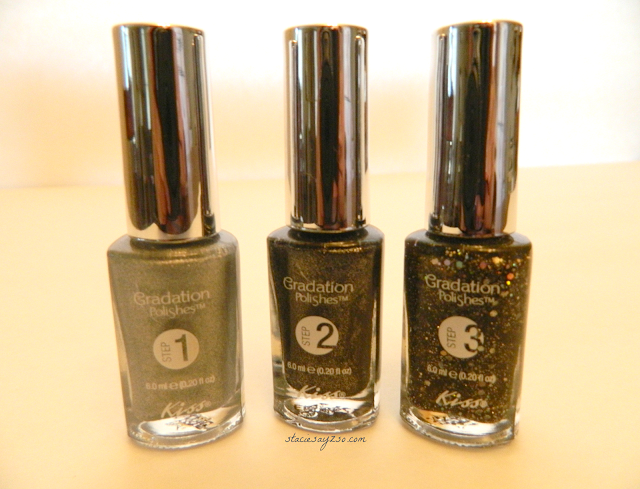 As an Influenster, I saw that I would be getting the Kiss Nails Gradation kit to try out so of course I was thrilled about it. Let me tell you girl, this is so easy to use. I mean, it's numbered and there is an illustration on the back of the package. It don't get no easier than that! Here's what I applied first. 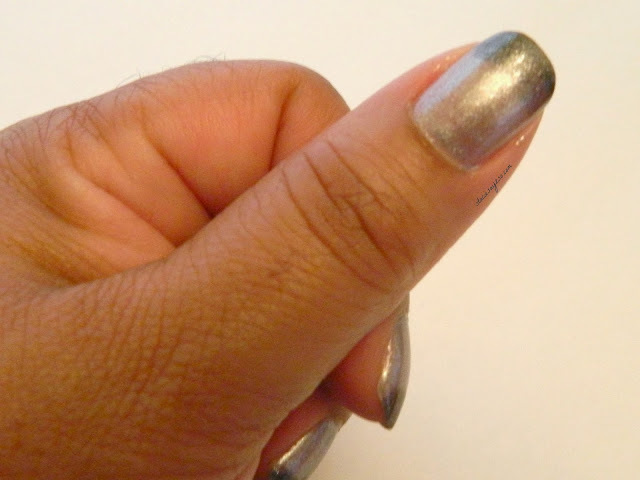 Second, I applied #2 to the tip of my nail. 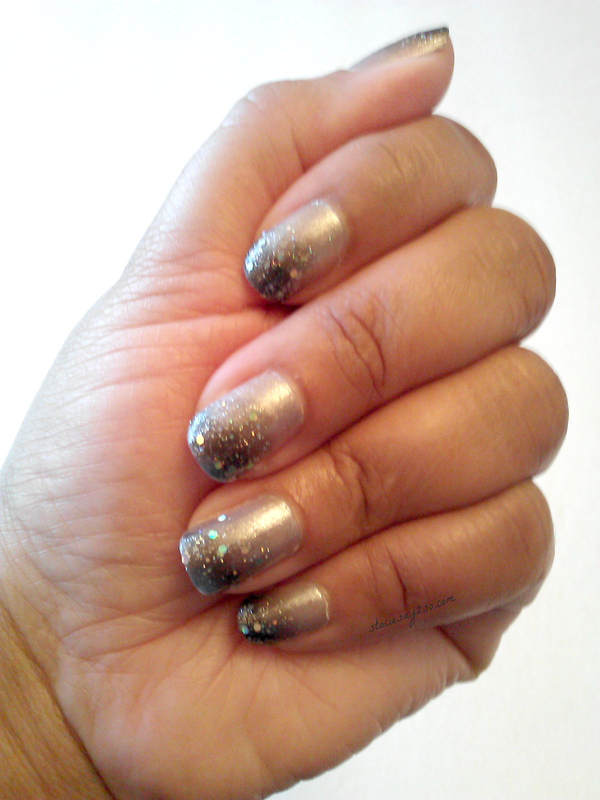 Lastly, I added the #3 glitter about 3/4 over the nails to blend it all. Thanks! I plan to rock this look a lot this season.